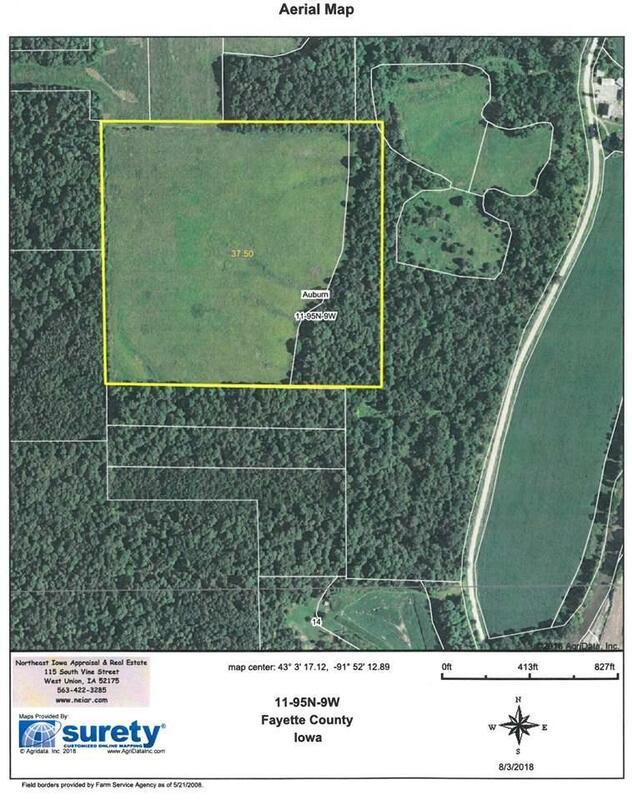 This listing consists of approximately 37.5 acres of farmland that includes 30.5 acres of tillable land and 7 acres of timber. The land will be split from a larger farm. It is located on a minimum maintenance county road. The road travels through a large timber to get to this farmland. The 30.5 acres of cropland has been in CRP, but came out last September (2018). The land has a nice cover of grass and has been well maintained with very few "wild" trees growing in the CRP. 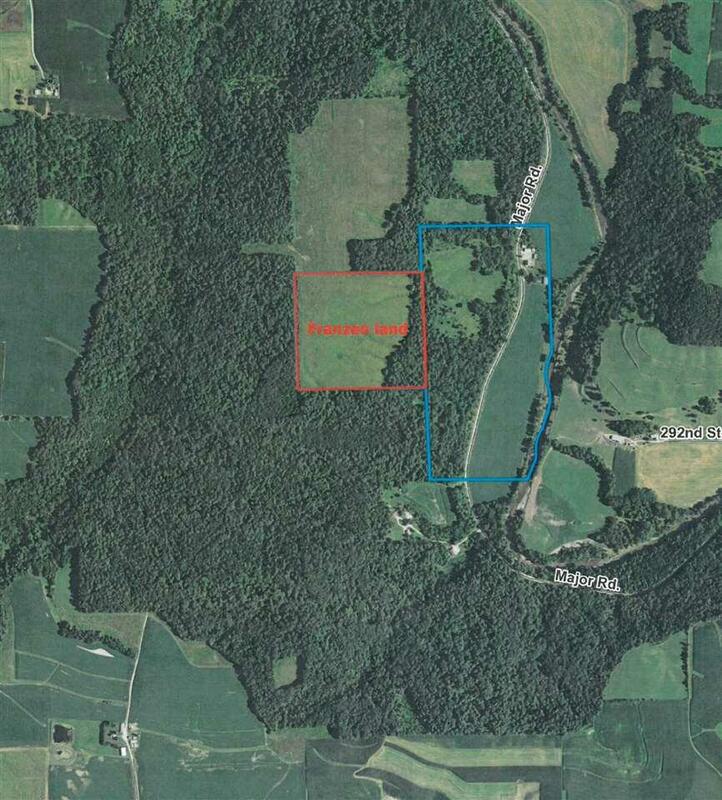 On the east/southeast side of the cropland is 7 acres of timber. 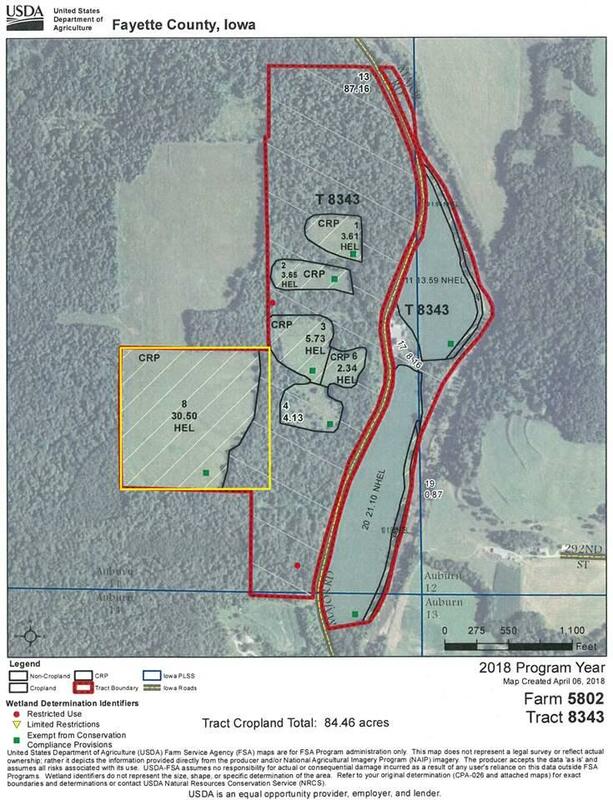 The 37.5 acres is surrounded by many timber tracts on 3 sides with a larger field of CRP bordering on the north side. It is very secluded and of course is an excellent hunting area for white tail deer and turkey. 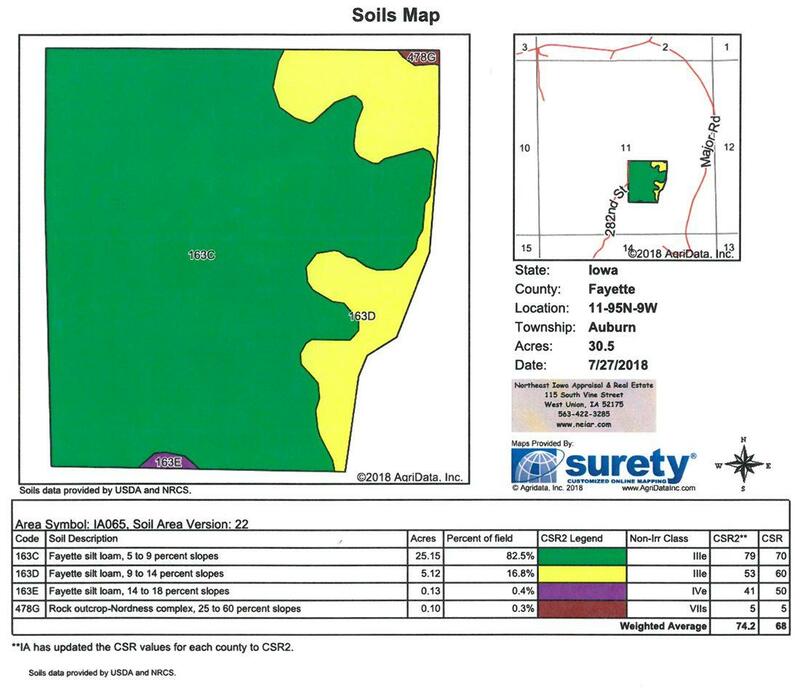 The average CSR of the land is 74.20 with the soil types being all Fayette silt loam. The asking price is under the market for land with a CSR in the 70's but location and the size of the parcel is a limiting factor. The land is zoned CFP - Conservation and Flood Plain. It does not flood and is zoned this way because of the large area of trees in this zoned area. Listing provided courtesy of Jay Jensen of Northeast Iowa Appraisal & Re.